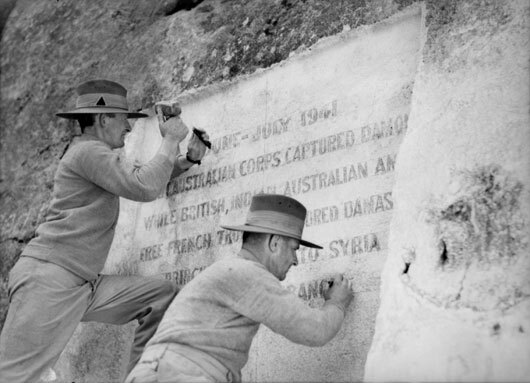 In both world wars, Australian troops played an important role in entering Damascus. On 1 October 1918, the Australian Mounted Division rode into Damascus, signalling the defeat of the Ottoman Empire in the Middle East. Turkey signed an armistice with the Allies on 30 October, putting an end to the Allied campaign in the Middle East. In World War II the 7th Australian Division, under Major General John Laverack, reinforced by other Australian units played the leading part in the campaign to wrest Syria and Lebanon from the pro-German Vichy French administration, which was in control following the fall of France in June 1940. 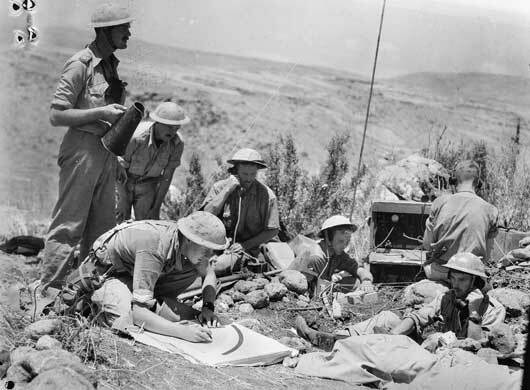 At 2 am on the morning of 8 June 1941, a three-pronged advance commenced with the Australians attacking along the Lebanese coast and also along an inland route while to the east, the 5th Indian Brigade and a Free French Force marched on Damascus. The attack was supported by naval gun fire and air support including No. 3 Squadron RAAF. The Vichy French skilfully resisted in all three sectors. There was fierce fighting in the coastal sector at the Litani River on 9 June but the Australians slowly advanced and occupied Sidon on 15 June. Merdjayoun, in the central sector was captured on 11 June but Vichy forces recaptured the town in a major counterattack on 14 June that also stopped the Indian and Free French force before Damascus. On 18 June, General Laverack took command of the 1st Australian Corps and assumed command from British General Henry Maitland Wilson for operations in Syria and Lebanon. By 18 June the situation was restored although Merdjayoun held out until 24 June. 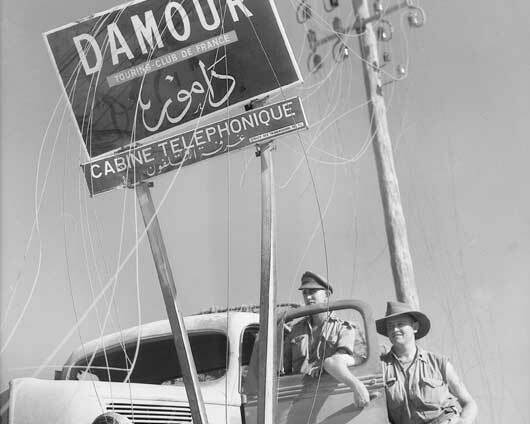 Damascus was captured with Australian assistance on 21 June and the focus of the attack shifted towards Beirut, the main military base and administrative centre for Vichy forces in Syria. Thirty kilometres south of Beirut was the last major natural obstacle to the Australian advance, a ravine through which the Damour River flowed. The Australian attack commenced on 6 July and they entered the town of Damour at 4 am on 9 July to find that the Vichy French had just withdrawn. With the road to Beirut open, the Vichy French Commander, General Henry Dentz, sought an armistice. A ceasefire began on 12 July with the formal surrender two days later at Acre. Of the 2400 allied troops killed or wounded in the campaign, 1600 or two thirds were Australian. 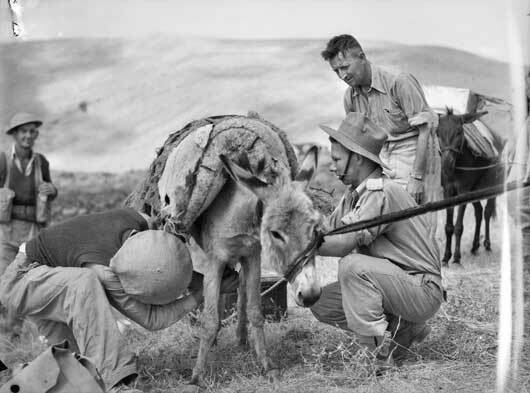 Members of C Company, 2/33rd Battalion loading up a donkey with rations and ammunition to supply troops occupying a strategic position overlooking one of the mountain roads to Merdjayoun (AWM 008205). The command post of "D" Troop, 12th Battery of the 2/6th Field Regiment during action against the French in the Merdjayoun sector (AWM 008195). An enscription being cut into a cliff to record the capture of Damascus by Allied troops (AWM 012749A).